Job Details: Heater Reline with a custom-built crown and top tile installation. 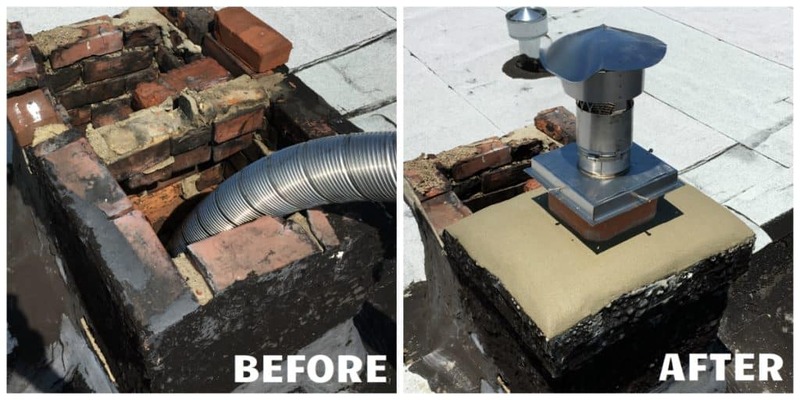 Occasionally, we cannot get permission to complete work on both sides of a shared chimney. In this case we had to rebuild the crown for only our customer’s half of the chimney in order to complete a stainless steal heater reline.